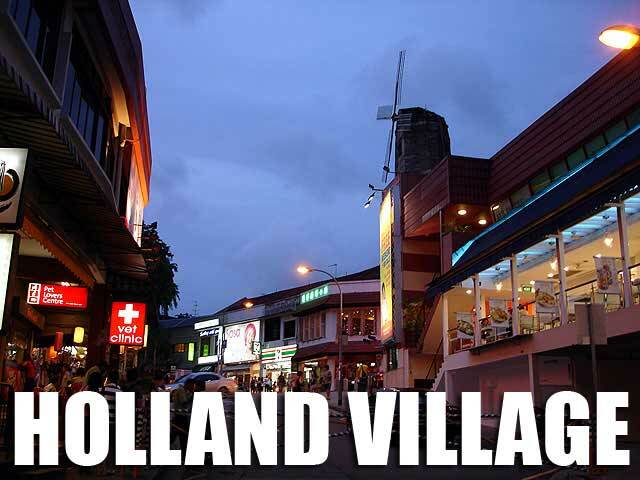 Holland Village is a small commercial enclave that has become a popular area for younger Singaporeans and expats. 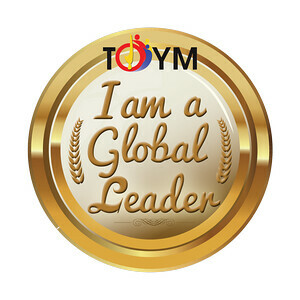 Known for its eateries and watering holes, among the many establishments you could find there include bars and up-market dining options, a 24-hour kopitiam, a market, and a food court that features both local and western dishes. 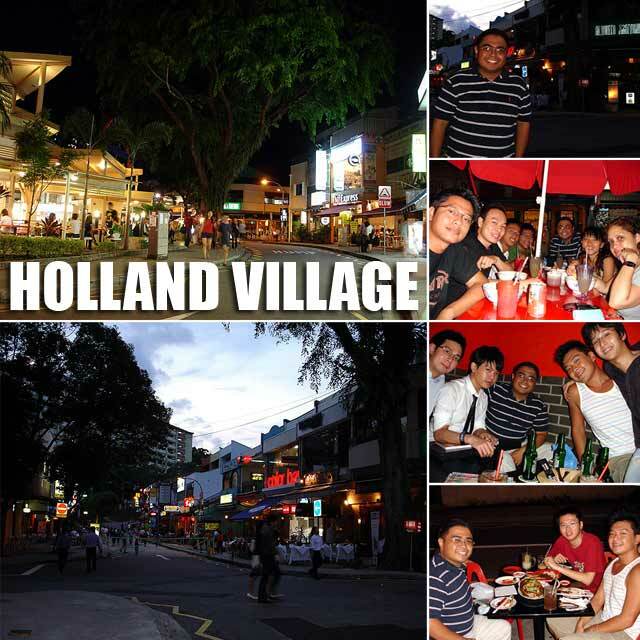 I was there in 2007 and got to try out a lot of the local fare courtesy of my Singaporean friends. Laksa is a dish of rice noodles, shrimps, cockles, fish cake and chilli paste in thick coconut-based soup. Katong laksa, which originated from the Katong area of Singapore, is sometimes referred to as Singapore's national dish by many of its fans. So while in Holland Village, we tried out the Katong laksa! 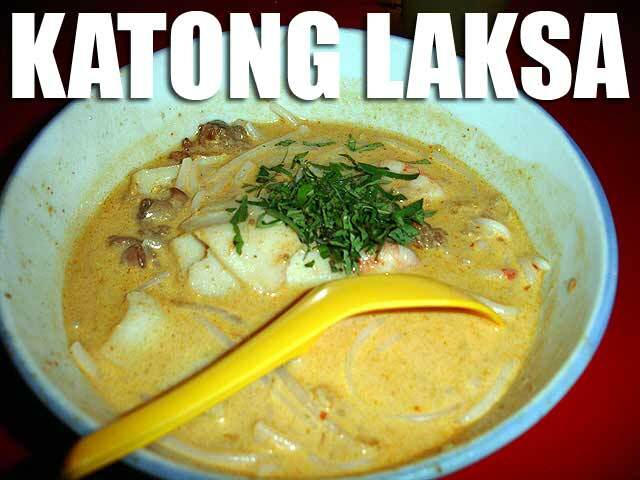 Take note that Katong laksa is served with a spoon alone (no need for chopsticks) since the noodles are cut up into small pieces. 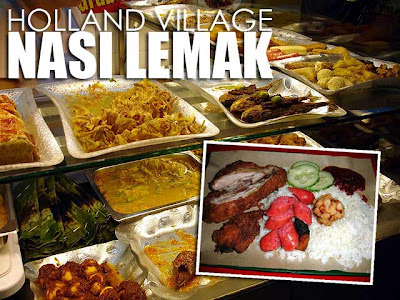 We also had Nasi lemak which is usually composed of coconut rice with omelette, anchovies (ikan bilis), peanuts, cucumber, sambal, and sometimes fried chicken. In Holland Village, you can point what viand you want to include in your Nasi lemak (you basically pay for what you get) from a wide selection of dishes. Everything is placed on top of brown wax paper and served with the coconut rice. 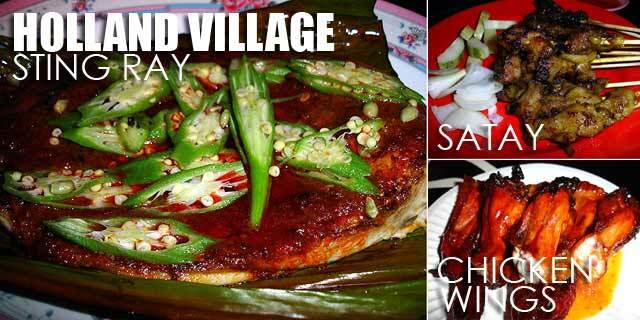 The eating just didn't stop and when I thought it was all over, we got sting ray, chicken wings and satay.